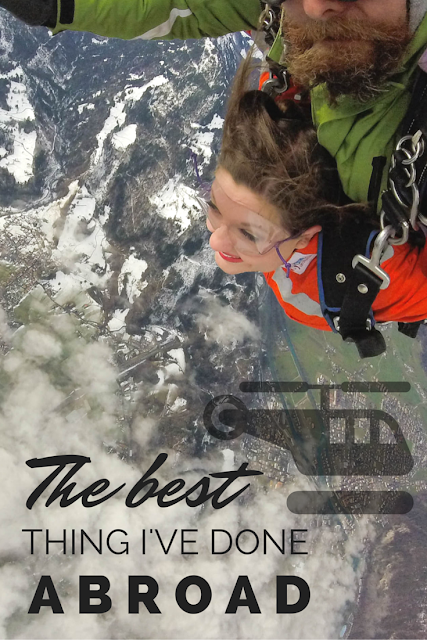 For as long as I can remember, skydiving had always been at the top of my bucket list. Last summer when I was back in Seattle to get a new visa, I convinced my mom to jump out a plane with me for my 25th birthday. Seeing my home from such a drastically different perspective made me appreciate the beauty of Seattle in a much deeper way. Furthermore, free falling from 14,000 feet made me positively euphoric. I immediately knew I was hooked. While my mom touted that once was more than enough, I could only respond with a smirk. I quietly suspected that my next jump was imminent. So when I stumbled upon Travel Channel's list of the world's best places to go skydiving (with Seattle ranking as #4!! ), I looked up flights to Switzerland on a whim. 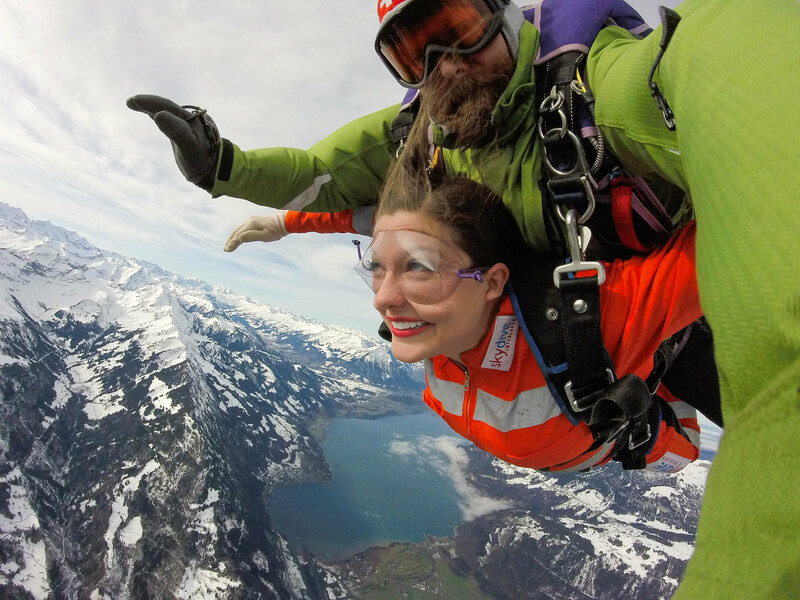 When I unearthed a ridiculously cheap flight to Basel, I immediately booked my next skydiving adventure in Interlaken. Except this time, I chose to switch it up. 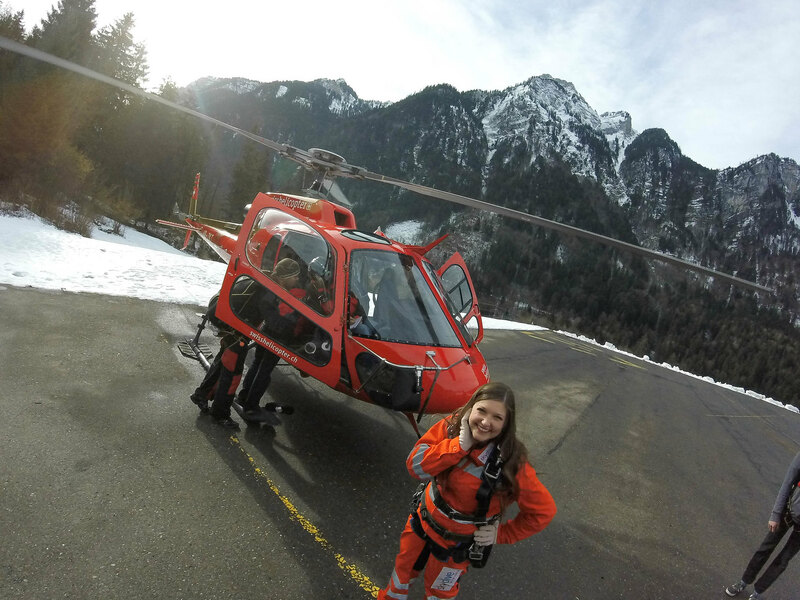 Because why jump out of a plane when you can jump out of a helicopter? There are about a thousand reasons why I shouldn't have gone to Switzerland. Of my many flaws, my impulsivity seems to be the one that gets me into the most trouble... while also allowing me to make the best memories. 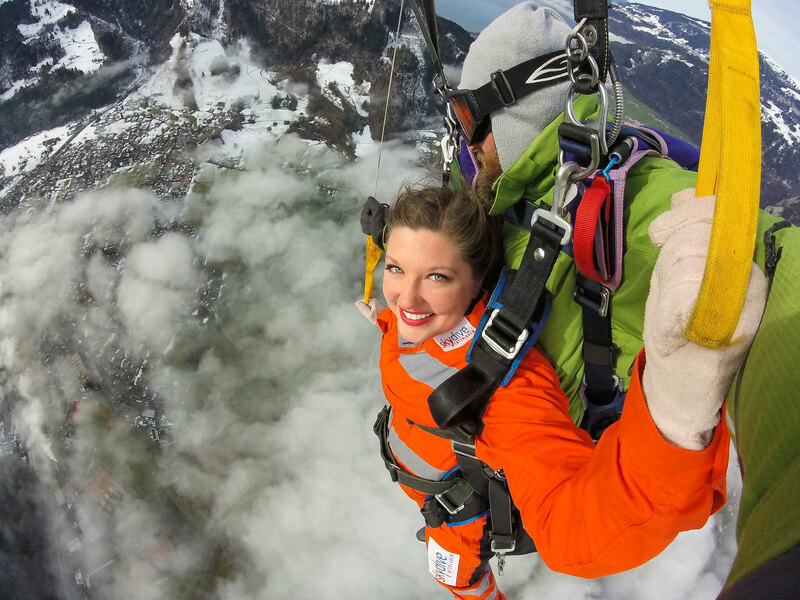 Spontaneously booking a skydiving pilgrimage to Switzerland was the best bad decision I've ever made. Financially, it completely screwed me over. People always talk about how expensive Switzerland is, and good lord, they're not lying. 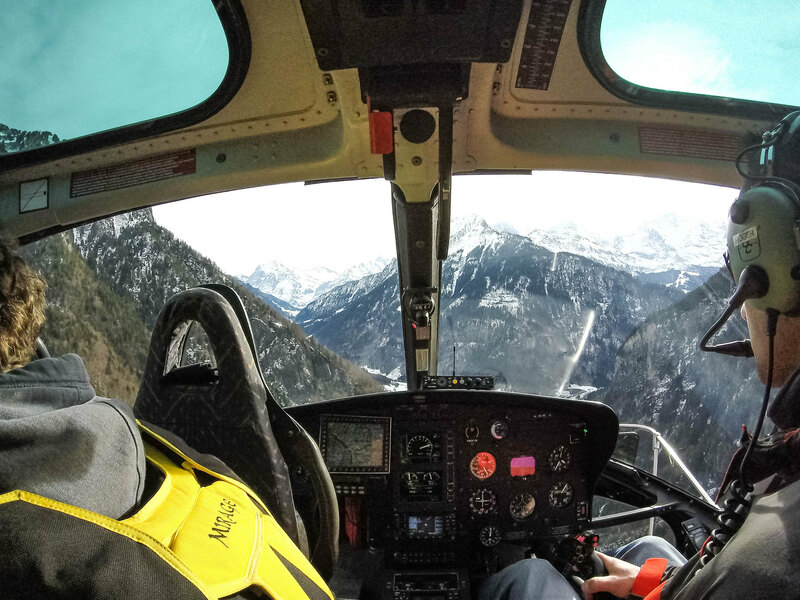 Jumping out of a helicopter costs roughly the same amount as my rent, which alone is more than half of my monthly paycheck. So if you do the math, you'll realize that this immediately puts me in the red. While I also teach private English lessons after school and earn a few bucks here and there from blogging, freelance projects and photography gigs, it's not nearly enough to fund skydiving and a social life. Needless to say, I've been staying in and eating a lot of canned soups and spaghetti this month. Experiencing such an unparalleled adrenaline rush while surrounded by breathtaking scenery was positively surreal. 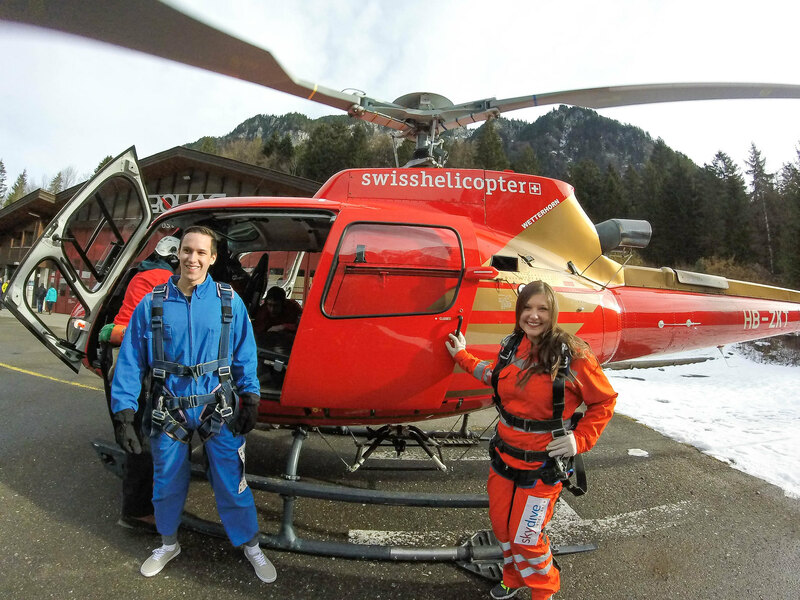 While skydiving in Seattle was epic in its own right, jumping out of a helicopter in Interlaken was on a completely different level. 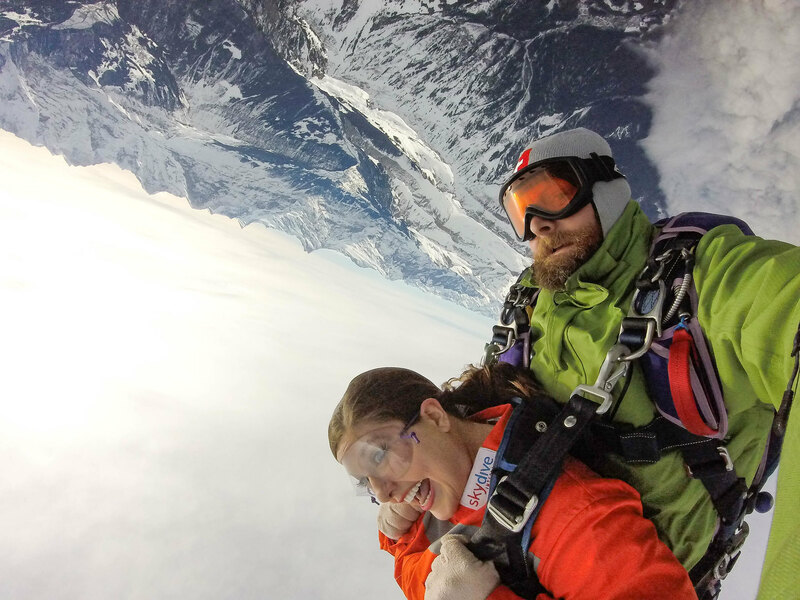 Without the fear and anxiety that accompanied my first jump, I was able to fully appreciate the jaw-dropping views of the Swiss Alps. 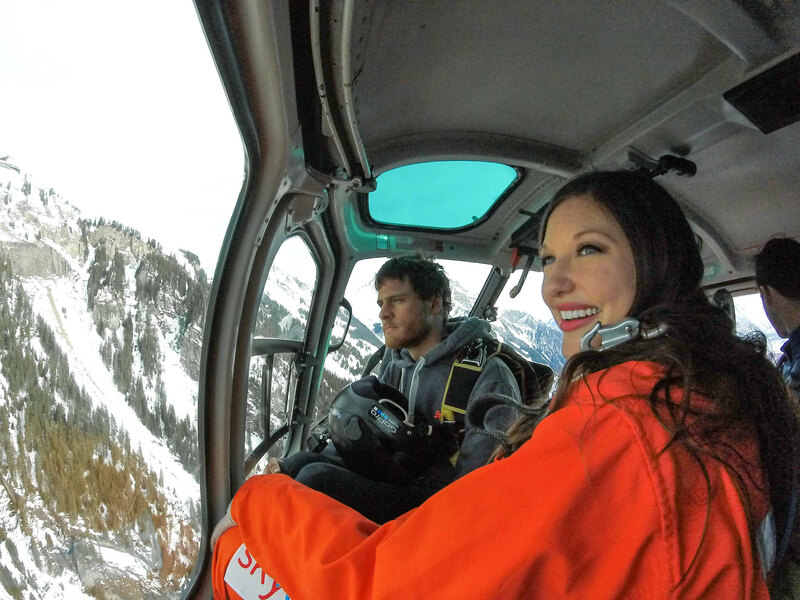 Admiring the majestic mountainscapes while falling from the sky was an overwhelmingly sublime experience. After the free fall, my veins were pulsing with adrenaline, exhilaration, and an incomprehensible amount of joy. I was buzzing with euphoria. I couldn't stop smiling all day long. Sure, I had to say no to other adventures in Switzerland and forgo experiencing the local cuisine in lieu of cheap sandwiches made from stolen hostel goodies. And unsurprisingly, I got a lot sicker and was out of commission for two weeks afterwards. The rest of February has been spent scrounging cheap tapas, cutting back on the Spanish nightlife, and obsessively pinching pennies until my next paycheck. But without a doubt in my mind, the sacrifices were 100% worth it. 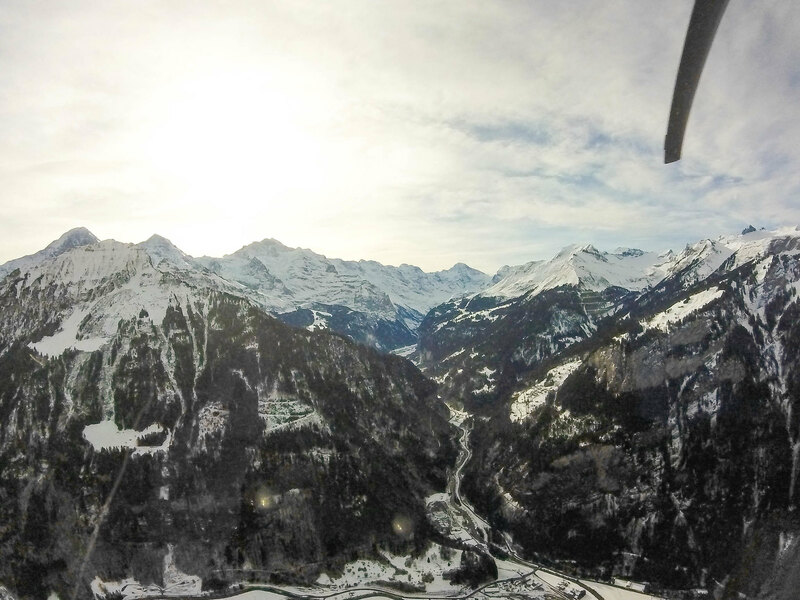 Skydiving out of a helicopter in Interlaken was by far the most memorable thing I've done abroad, and surely one of the best experiences of my entire life. What's the most memorable thing you've done abroad? 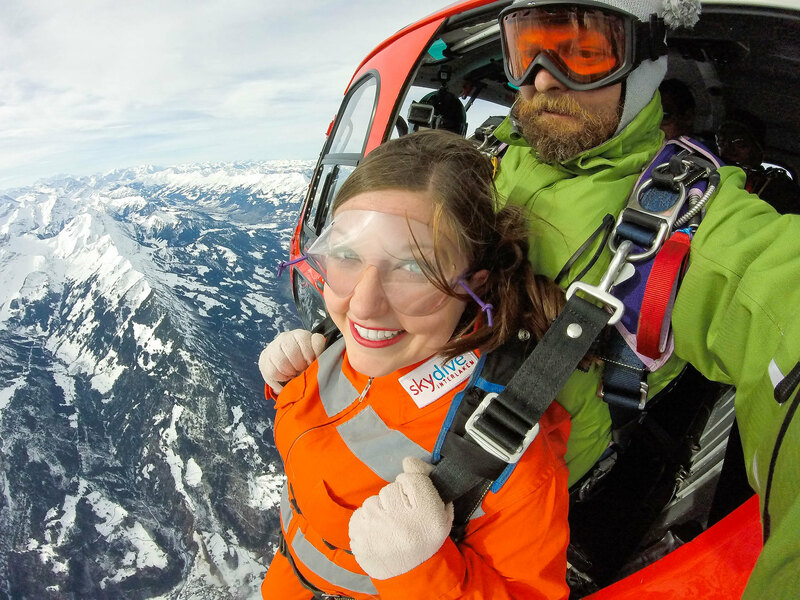 This is not a sponsored post, but I genuinely can't recommend Skydive Interlaken enough. They were friendly, professional, and made me feel safe throughout the entire adventure.